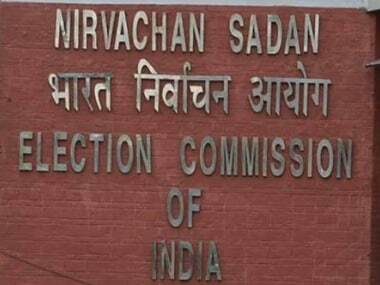 A day before voting in the second phase of the Lok Sabha polls, the Election Commission (EC) barred NaMo TV from airing any pre-recorded content 48 hours before a polling date, reports said. According to ANI, state chief election commissioners (CEC) have been asked to strictly follow the directive. The channel, sponsored by the Bharatiya Janata Party (BJP), can stream live coverage of events. 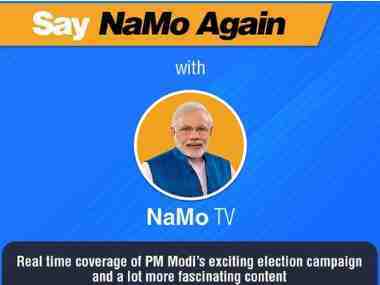 The EC had earlier directed that NaMo TV cannot display ‘election matter’ during the silence period ahead of a particular polling phase. These directions are to be followed during the remaining six phases of the Lok Sabha election as well. The silence period aims to allow a voter to make a decision about whom to vote for without being influenced by campaigning. Section 126 of the Representation of the People Act "prohibits" display of any "election matter" by means of "cinematograph, television or other similar apparatus", 48 hours before the hour fixed for conclusion of poll in a particular constituency. It does not apply to the print media though. The Delhi CEO has been provided a committee specifically to pre-certify political content for television and similar platforms which have a national outreach. The poll body had also said last week that all recorded programmes on NaMo TV will undergo the scanner of the media certification and monitoring committee in Delhi. Any content that is not pre-certified will be removed immediately. The Delhi CEO had filed a report on the channel run by the BJP after the Congress complained that it disturbed the level playing field ahead of elections. "It has been brought to the notice of the commission that NaMo TV/content TV is a platform service offered by DTH operators to the BJP on a paid basis. Any political publicity material or contents being displayed on electronic media without the requisite certification from competent authority (MCMC in this ease) should be removed immediately and any political content shall only be permitted strictly in accordance with the EC's instructions in this regard," an EC directive dated 11 April read.